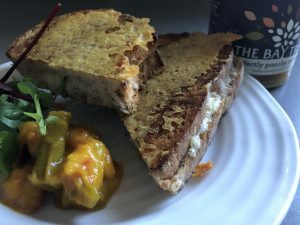 MAKE TOASTIES WITH A TWIST says Sarah Hoult…. This is a recipe for those who nibble the crispy bits from the top of the lasagna or deliberately make toasties which overflow purely to enjoy the crunchy leaked cheese. People get terribly het up about complicated food, but I honestly don’t believe there is anything quite as satisfying as a good toastie for lunch. 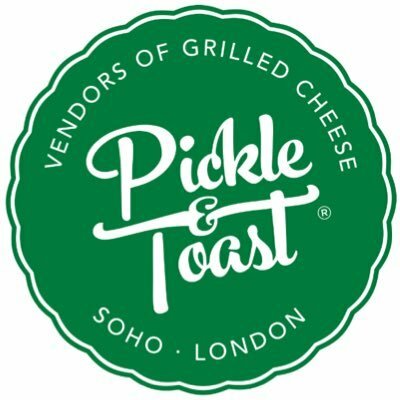 I was inspired by Soho’s grilled cheese specialists Pickle and Toast, who make the most incredible sourdough bread creations. The key to their success is putting the cheese on the outside as well as the inside, and the toastie I enjoyed was delicious, filling, and also gave me the energy to get around Selfridges on a Saturday. So I decided to create a version at home. Our best local cheddar is from the Westcombe dairy, in Westcombe, Somerset (westcombedairy.com), whose rich hand-crafted cheddar is smooth and strong. I grated this, spread butter very thinly onto sliced Poilâne bread, which you can buy from your local bakery or supermarket, and scattered the cheese between two slices. You can of course add ham, brie, mayonnaise, tomato, mustard and any other ingredient you like. But the key is in the cheese on the outside. Should my 18 year old pass his A levels, I’m pretty sure it will be down to him eating toasties every day for lunch.